Fine art, Illustration, graphic design and the art philanthropy of Sam Morrison: Charcoal with Your Waffles? You know how sometimes you wake up especially groggy in the morning? Mentally you're still somewhere between reality and frolicking with unicorns and rainbows. For me that usually means my mental cognition involves shape recognition. On this particular morning that meant grab round waffles, place in square toaster, then place waffles on circular plate. Circle + square + circle = breakfast. After placing round waffles on round plate things got complicated real quick. Still operating under shape recognition. I reached for the closest object resembling a maple syrup container. 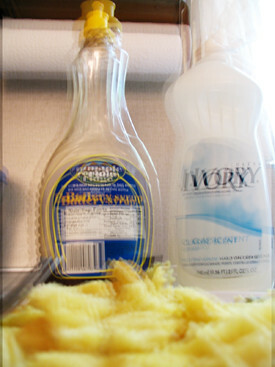 (Unfortunately, earlier on, I placed the syrup too close to the dish washing liquid). At that point my color cognitive recognition hadn't kicked in. That left me reaching for the dish washing liquid, which apparantly on a subconcious level looks more like a syrup container than a syrup container. Fortunately, before smothering my waffles in dish washing liquid, my smell recognition kicked in, alerting me to the fact maple syrup doesn't have a lemon scent. Had I eaten the lemon scented waffles and gone to the ER to have my stomach pumped I can only hope my cognitive recognition would decipher charcoal from bite-size donuts.